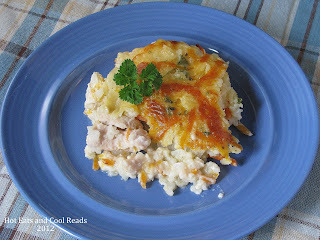 I have been craving a good, creamy chicken and rice dish for awhile now. This one turned out great and even better, you don't have to use any canned cream soups to make it! It's all from scratch!! Woo-hoo! Starting this blog almost a year ago has brought many changes to our eating habits. I have cut out most processed foods and try to make almost everything from scratch. It is so much easier than I ever thought and we eat so much better than before. I love it!! Hope you enjoy as much as we did! Preheat oven to 350 degrees. In a glass 9x13 baking dish, combine chicken, carrots, white rice, 1/2 cup cheddar and parsley. Set aside. In a medium sauce pan, melt butter over medium heat. Add onions and saute for a few minutes. Add flour and cook for 1-2 minutes, stirring. Add milk, salt, and pepper, and heat cooking for about 4-5 minutes or until mixture slightly thickens. Pour milk mixture over the contents in the baking dish and sprinkle the remaining cheese over the top. Bake for about 45 minutes or until chicken and rice are cooked through. Thanks for stopping by!! Now following you! 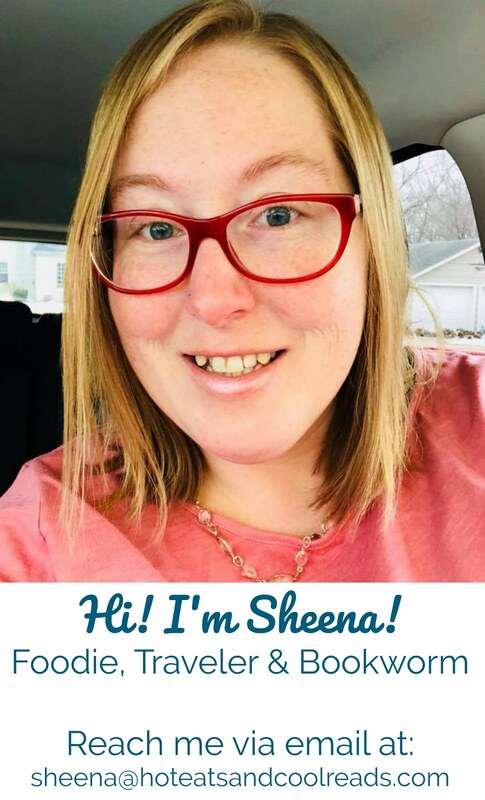 Thank you for sharing on my first Linky Party, Sheena! I was hoping someone would show up! HA! :) Pinned for an easy Saturday meal! Just pinned your great recipe, thanks for sharing on Full Plate Thursday! Thanks so much for pinning!! This is a very nice chicken dish. Would you be happy to link it in to my Chicken Edition of Food on Friday? This is the link . I found this through the Tuesday Talent Show on Chef in Training. Thanks for the invite! Glad you stopped by! This looks scrumptious. I love a good casserole. Can't wait to try this. Thanks for sharing at Creative Thursday. Thanks Michelle! You will love it! I used your recipe, very good by the way; however, I browned chicken pieces in my cast iron skillet with onions and mushrooms in butter, added the sauce and rice and simmered. It was delicious. Faster than my usual oven casserole which helps me out a lot with the husband 2 teen boys and our 21 year old daughter to feed! Thanks its a keeper in my recipe box. God Bless. You're welcome! So glad you liked it! Thanks for stopping by! Do you think this would be just as good with brown rice?? Did you cook the rice first? The rice is not cooked first. It will cook when baking with the other ingredients.